Poetry. SHIPBREAKING is a stunning book about being awake. 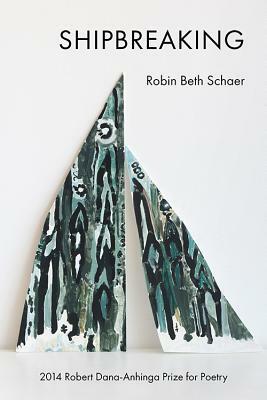 Robin Beth Schaer spins her readers through the wires, storms, and electricity between us with great precision of language and line. This is the voice of an explorer, a speaker of wild courage. 'Love / is haywire, ' she says, 'Current is the cure / for both a stopped heart and one that beats / too much.' Brimming with recognition of conditions both human and otherworldly, Schaer speaks as guide and messenger, creating a '... spark ... in a great loneliness.' This is a moving, necessary book." Jan Beatty.